Our pregnancy cushion allows our pregnant or large breasted clients to lay comfortably in a face down position to address low back strain. Prices subject to change. Payment is expected at time of service. We accept Visa, Mastercard, Discover, Cash, or Personal Check. Most flexible spending programs accepted. **If you are being treated because of an illness or injury, your insurance may cover your treatment with a prescription from your physician. Call your insurance company to find out if massage therapy by a licensed therapist is covered by your plan. Corrective Medical Massage 60 min. 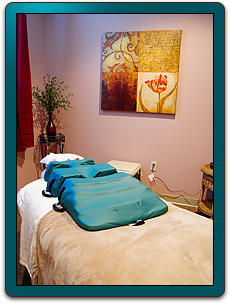 Corrective Medical Massage 90 min. Manual Lymphatic Drainage 60 min. Manual Lymphatic Drainage 90 min. Copyright © 2010 Ponessa Medical Massage. All Rights Reserved.